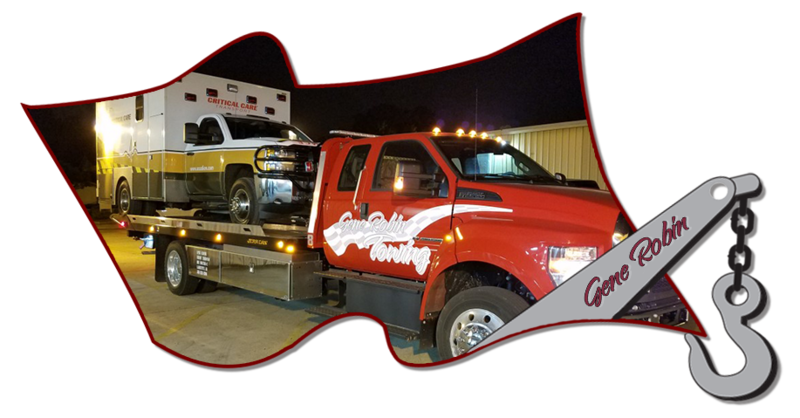 We’ve been providing towing services in Lafayette, LA and surrounding areas for over 40 years now, and have built a reputation of reliable, professional and affordable towing services. We pride ourselves in providing affordable, professional and reliable damage free towing, so you can rest easy knowing you’re in good hands! So whatever your needs, give Gene Robin Towing Inc a call. When your car breaks down and needs a tow, there’s no better company to call than Gene Robin Towing. Our light duty towing service in Lafayette, LA is available 7 days a week to get you out of a tight spot and back on the road fast! If you’re stuck in a jam in your bus, RV, or ay other medium duty vehicle, Gene Robin Towing is here to help. Medium duty towing in Lafayette, La can be tricky. Don’t trust your vehicle with just anyone. 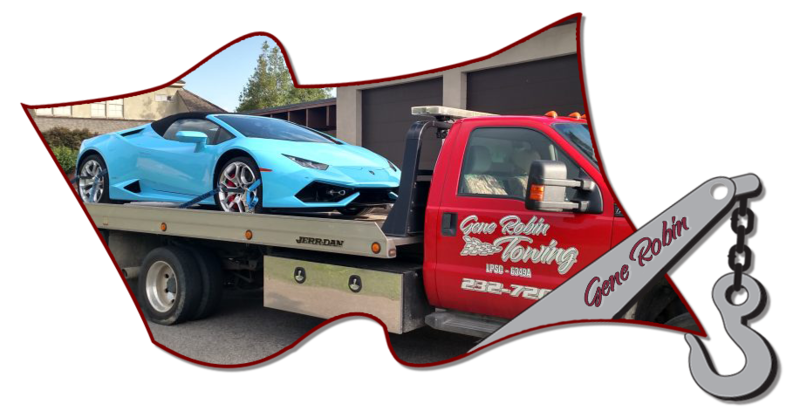 Let the experienced operators at Gene Robin Towing get your vehicle safely to its destination. At Gene Robin Towing, we are Heavy Duty experts! We take pride in specializing in towing heavy duty vehicles and heavy duty equipment. Our trucks and operators are among the best in the industry to handle every heavy duty towing job safely and as quick as possible to help clear up any situation on the road. We’re here 24/7 to help you when you’re in need! 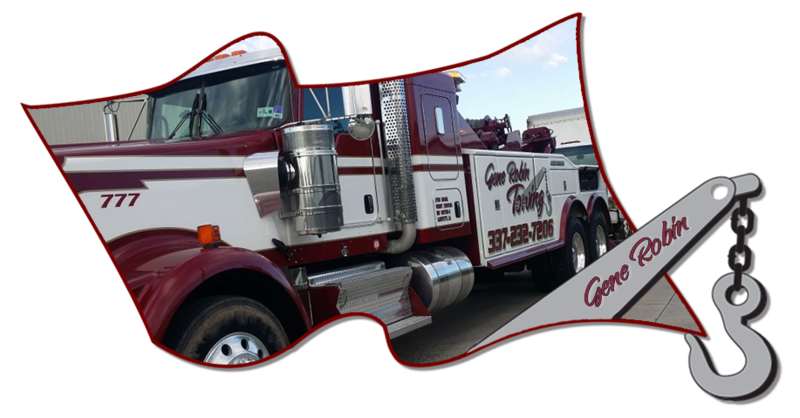 Gene Robin is your #1 Towing, Recovery, and Roadside Assistance company in Lafayette, LA! Serving Lafayette, LA and Surrounding Areas! Service Rated ★★★★★ 5 based on 21 customer reviews!